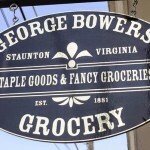 Pints and Quarts | Craft Beer Nation (Ep.017) goes live on location at George Bowers Grocery in Staunton, Virginia on Thursday, October 2nd at 9:30PM Eastern. 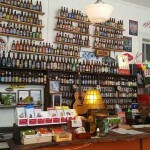 George Brewers Grocery is the best little sandwich and craft beer place in the Shenandoah Valley (and that is saying something). 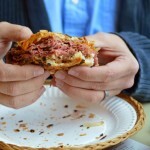 We will pair some sandwiches with beer, and talk about how retailers are capitalizing on the craft beer movement. You can watch the Live Hangout On Air on our Google+ Event Page. Feel free to comment right on our Event Page so we can share your thoughts with the owners live. If you don’t have Google+ Account (and why don’t you?) you can also watch the live feed on our YouTube Channel. And we will be able to see any comments you make on the YouTube page during the live show to share with the audience. Filed Under Pints and Quarts, Podcast | Tagged craft beer, Hangout On Air, On Location. Bookmark the permalink.